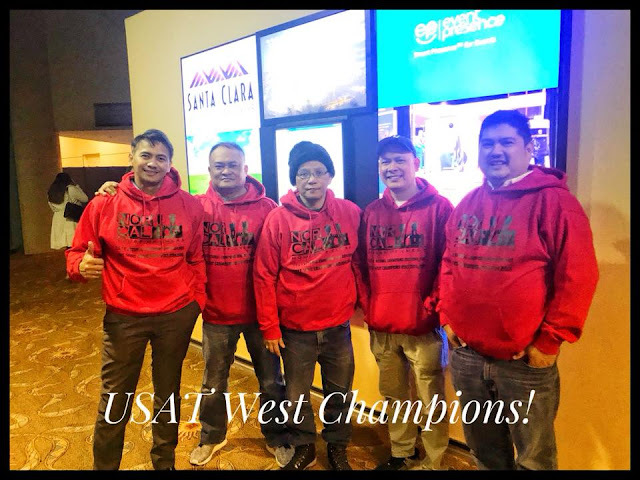 I scored 5 out of 6 in board one at USAT West Championship 2018 for XCell Chess Team 2. Our team scored 3.5 out of 6 rounds. Ahyan played at board#4 and scored 2.5 out of 6. Va hak was a board#2 and Antara played very well with 4.5 out of 6 in board#3. I like my round#2 win against Michanel Pan and round#4 against Allan Kurman both wins in King's Gambit Accepted. Norcal House of Chess won the championship with 5.5 points. In the last round, I check mated my opponent with a rook sacrifice at h5. However, I don't have the scoresheet and hence lost the movesof the games. More than 440 players competed at the U.S. Amateur Team West Championships at the Santa Clara Convention Center on President’s Day Weekend , February 17-19, 2018. There were 2 sections: an Open and a Scholastic. In the Open Section, out of 66 strong teams, NorCal House of Chess came out on top! Two teams tied for 1st place, NorCal House of Chess and the Fire Breathing Duckies. Before the last round, Fire Breathing Duckies and NHC Warriors , three time Champs, had 5.0 apiece and should have played against each other. The Fire Breathing Duckies , however, before the tournament got underway, requested a half-point bye. NHC Warriors drew their last game against Piece of Mind which gave them the win based on tie-breaks. NorCal House of Chess has won this tournament 4 times! They won it 3 years in a row in 2013, 2014 & 2015. Their unprecedented success takes them to the playoffs again where they will compete against the winners of the USAT North. Hopefully, the NHC Warriors will make it to the Finals. The NHC team won the USAT Nationals 3 years in a row--a record! Over the years the NHC Team was comprised of veteran players from the Philippines. 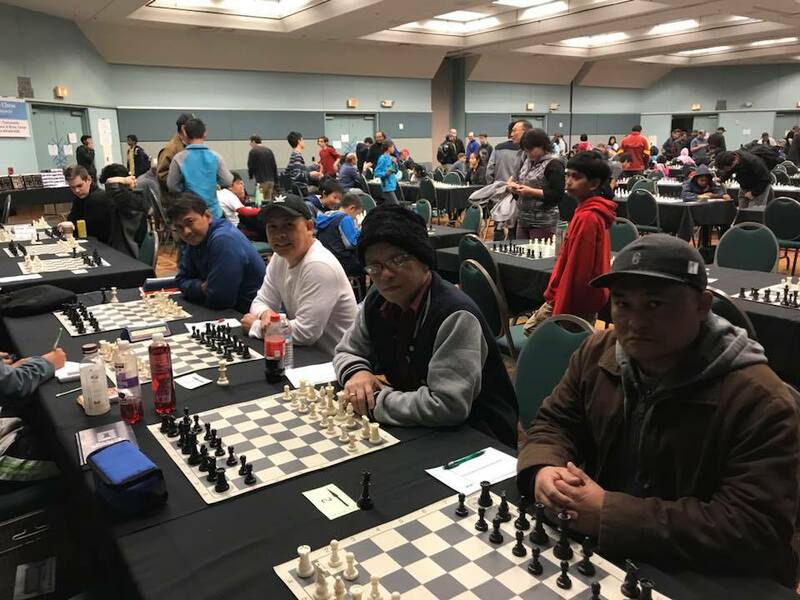 Ted Castro, Owner-Manager of the popular NorCal House of Chess in Fremont, had the inspiration to field an all-Filipino roster. Ted, himself, played in previous years. This year on Board 1, Olympian veteran IM Omar Cartagena scored 5 points out of 6 games (which was good enough for 2nd place in Board 1). On board 2, IM Angelo Young (1982 Philippine junior champion and 8-time Illinois State Champion) went undefeated with a 4.0/6. IM Angelo Young, when in Illinois, was a part of a team that won the USAT North twice. His team lost to NHC in 2015. Manning Board 3 is another Olympian veteran FM Ronald Cusi finished with 3.5/6.0. Interestingly, FM Cusi, who was part of previous NHC teams, only lost for the 3rd time in the past 6 years that he has participated in this event. On Board 4, former businessman & street blitz champion Guerrero Silvestre proved that he can play long games. He helped the team by scoring 5.0 out of 6 games, losing only in the last round. Seeded number 5 in the 2-day event, the team blanked their opponents (4-0) in rounds 1 and 2. In the 3rd round, they were paired against a dangerous UC Berkeley team who was also undefeated. On Board 1, IM Cartagena led the team by beating IM Kesav Viswanadha. On Board 2, IM Young held FM Teemu Virtanin to a draw while FM Cusi lost against NM Arjun Bharat on board 3. Luckily, Guerrero Silvestre won a tactical game on board 4 which was good enough for the team to win with 2.5 points. On round 4, the team continued their winning streak outlclassing the Bay Area Chess San Jose Hackers led by IM Konstan Kavutskiy. One of NorCal's former students, FM Balaji Daguppati was actually part of Hackers. All the boards drew and the team scored on board 4 edging them with 2.5-1.5. Round 5 was an interesting round since NHC warriors faced a well-balanced team headed by GM Enrico Sevillano, a previous player on the NHC team. In the final round, NHC Warriors were paired up against Piece of Mind which was piloted by 2 former students of NHC coach Ted Castro: IM Vignesh Panchanatham and Michael Tang. They put up a good fight. Despite losing on board 1, Piece of Mind scored on board 4 and drew on boards 2 & 3 which ended up with 2-2 score. In the end. As mentioned earlier, the NHC warriors now had a total score of 5.5 points, same with Duckies and so they on tie-breaks! In the scholastic division, out of 41 teams, NorCal House of Chess also won 1st place! They scored 4.5/5.0 and tied with 2 other teams (Fallon Mustangs & Cardinal Knights). 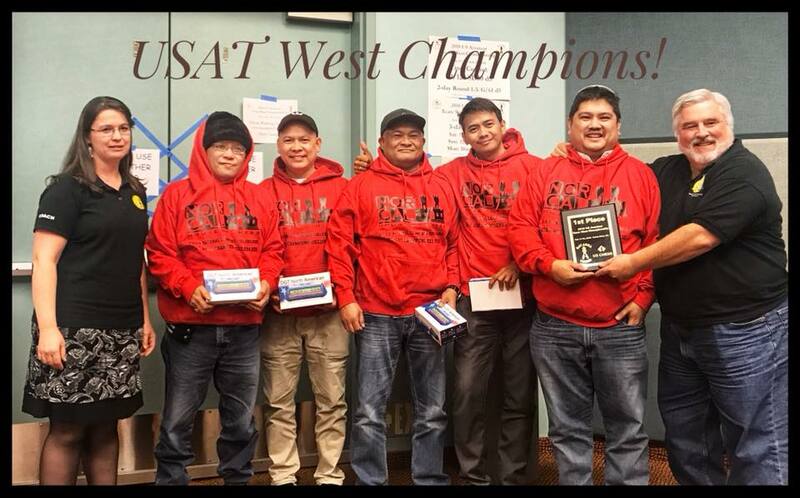 Once again they won on tie-breaks and swept the USATW tournament by winning in both sections! The scholastic team of NorCal House of Chess Warriors was composed of Samik Pattanayak, Priyadarsi Mishra, Arvind Ignatius & Adit Saxena. All students and members of NorCal House of Chess. 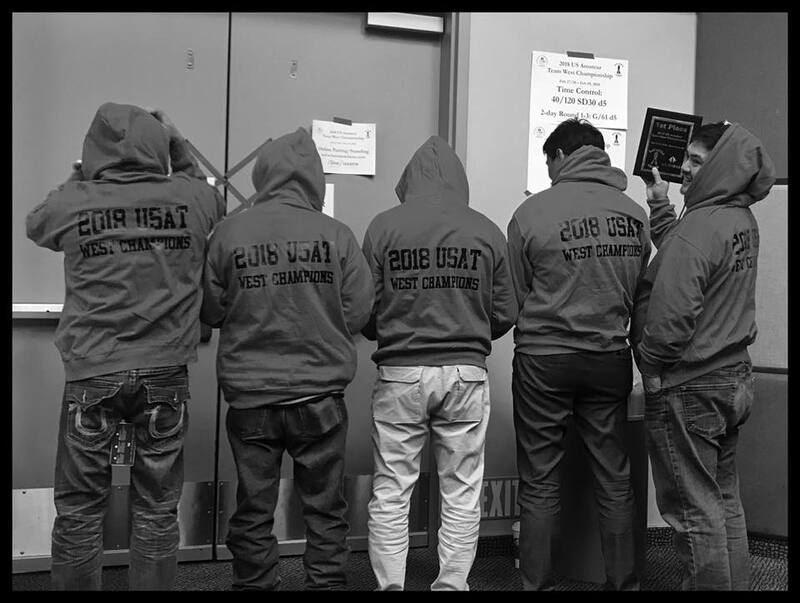 In the awards ceremony, when they called NorCal House of Chess Warriors to accept their plaque and prizes, everyone on the team was wearing a red hoody that read 2018 USAT West Champions! Everyone asked how did they know they would win or when did they have their jackets printed out. Coach Ted Castro said, “We had it made when we entered the tournament! He was confident that his team would deliver the goods.” Ted emphasized that what spells the difference is team play. It's not your typical type of tournament and according to him, the veteran players knew when to draw and when a team needs a win. The NorCal House of Chess team is preparing for their battle against the USAT North. The playoffs will be in April. If they win, they will play against the winner of East vs. South. They're going for another record-breaking feat of 4-time USAT National Champions! I asked Ted Castro, their coach, if he would have winner hoodies printed again before that match. He was non-committal. FIDE Master Mehdi Hasan Parag along with Champion and Runners-Up of Intra-University Chess Tournament of Daffodil International University pose for a photograph. The Chess Club of Daffodil International University (DIU) organized the two-day Intra-University Chess Tournament titled “Battle of Brain” on 16-17 February 2018. 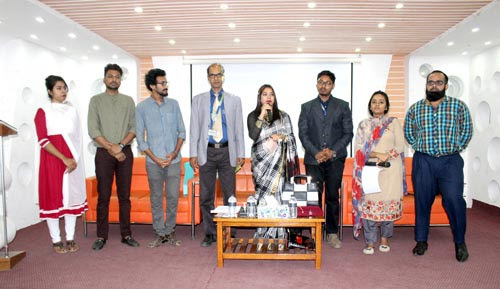 The tournament consisted of five rounds; first three rounds were held at the Dhanmondi campus on 16 February and last two rounds were held at the permanent campus on 17 February. As many as 130 registered students from different departments and campuses of DIU competed to establish their supremacy on 64-squared black and white board with their chess playing skills and acumen. Md. Maruf Sarkar, a student Software Engineering Department of Permanent Campus, has become the Champion of the first ever Intra-University Chess Tournament of Daffodil International University. Fojal Ahamed Akash of CSE has become the first runner-up and Md. Monjurul Islam Shakil of the same department (CSE) has become the second runner-up in the tournament. The closing ceremony and prize distribution was held at the Multipurpose Hall of permanent campus on 17 February 2018. FIDE Master Mehdi Hasan Parag graced the closing ceremony as Chief Guest and handed over the prizes to the winners. 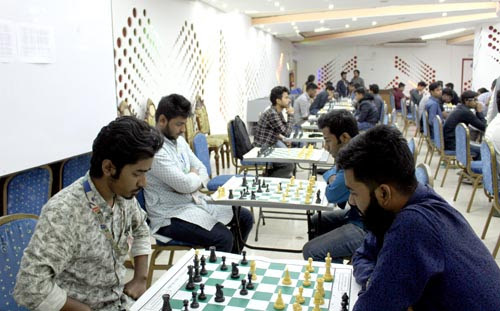 The executive committee members of the Chess Club of DIU including President Pritom Saha and General Secretary Mohammed Ishtiaq Ali worked through the days to make the tournament successful. Earlier, Ms. Mahmuda Hoque Chowdhury Moly, National Chess Instructor, inaugurated the tournament at the Banquet Hall of Daffodil Tower on 16 February 2018. Mr. Md. 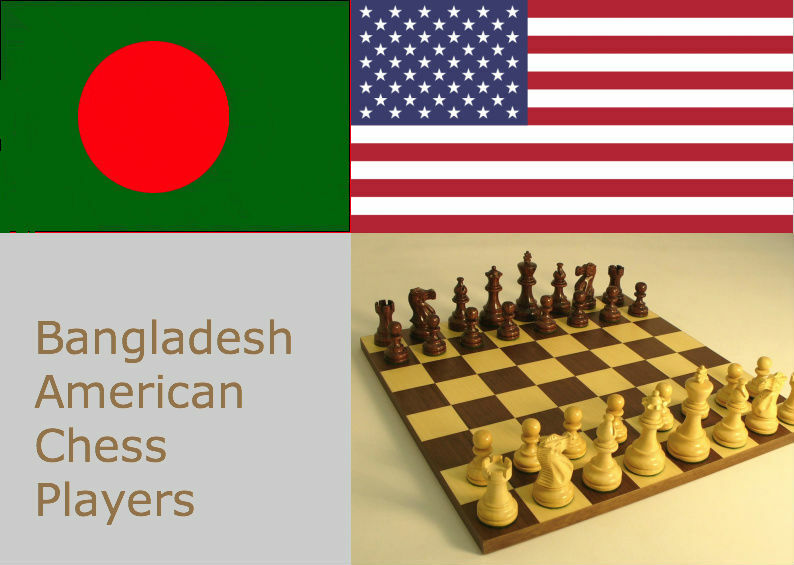 Mazedul Hoque, Coordinator, Elegant International Chess Academy, was present there as special guest. Dr. Binoy Barman, Moderator of the chess club, and Director of Daffodil Institute of Languages (DIL), chaired the inaugural session. Amateur team championship is one of the most anticipated tournaments for non master players in the whole chess calendar year. As 2018 team championship is approaching, here I am revisiting one of the best chess events of my career. I have played team championship a few times in the past but last year (2017) I was not sure whether I will play due to office work load. Incidentally just one week before the event, I got a call from Tigran who is the manager of the relatively new in the chess arena XcellCHESS Club. We know each other since my son’s chess coaching times last several years. Tigran said he was putting up a team and my then current rating of little below 2000 (1974 to be exact) is a good fit to play for the 3rd board. As soon as I heard from him, all my busy office work jumped out of the window of my mind. I instantly agreed hearing the other boards in the team were National Master Hayk Manvelyan, WIM Ashritha Eswaran, Arul Viswanathan and as fifth player WCM Aksithi Eswaran. Hayk (2295) is one of the promising players in bay area who got a little busy with his graduation times in recent years. He is a dependable player; calm and fit for being team captain in the first board. I know him since he used to play regularly in Tuesday Night Marathon at Mechanics Chess Institute, San Francisco where I am a regular too. Ashritha (2252) comes from a well known chess family from bay area. Her father Eswaran Ramalingam is the co-founder of XcellCHESS Club. He assigned Tigran to develop and manage their upcoming chess software XcellCHESS on which they have been working for the last couple of years. Ashritha herself is well known for her impressive debut in 2014 US Women Championship at the age of 13 and frequently plays in major chess tournaments all around. Her younger sister Aksithi is also progressing rapidly as a player bagged couple of Gold Medals in PANAM Youth chess Championships in Brazil (2013) and Colombia (2015). I had played Arul (1930) a few times earlier and traded wins in our last couple of games. He is another player who has lots of potential. I didn’t know before this tournament that his father was my then-colleague in Adobe. I myself have been playing chess in bay area for last seven years with mixed results. My peak rating has been 2148 four years back but since then has been steadily going down, as I got busy with other priorities in life. So all in all we thought we were a good team and would try to put up a good show although winning the championship in the west zone didn’t cross our mind. Because traditionally it’s one of the most competitive team tournaments in whole USA. While the number of teams in East zone is many times higher; in terms of quality opponents - the ratio is incomparable to West zone. My jaw dropped when I saw that out of 65 regular teams (setting aside 35 scholastic teams in one of which my son Ahyan also played), 4 teams had Grand Masters and 5 teams had International Masters in board one. According to strength, we were 15th out of 65 teams with a team average rating of 2104 in the first 4 boards, well below the ceiling of 2200. Hence you can imagine securing the first place was not the goal we set for ourselves in the beginning of the tournament. A notable absence this year was 3 times USAT National Amateur Team Champion NorCal House of Chess. The tournament was organized by Bay Area Chess in the spacious Santa Clara Convention Center during February 22-23-24 Presidential long weekend. I didn’t play the first round to allow our fifth board Aksithi to play instead. Usually in the first round you get relatively easy opponent and hence we didn’t have any trouble winning all the boards. But in the very second round we faced “Kolty A” (average rating 2178) first 3 boards of which were National Masters and even the fourth board is rated 2049, making it a well balanced team. I upset NM Richard Koepcke (2200) which tipped the result in our favor to 3-1. In the third round we faced the team with a bizarre name “+K4#!” whose average rating 2064 was lot higher than us. Despite that we won comfortably. Scoring 3 out of 3 rounds, we had to face one of the tournament favorites SoCal House of Chicken Nuggets (average rating 2185) who won the top team name prize. They were headed by IM Joshua Sheng (2455), NM Albert Lu (2391), WIM Annie Wang (2276) only to compensate these high ratings with lower rated fourth board Brent Bennett (1619). Again here I upset my higher rated opponent Annie (more than 300 points difference) and Hayk was able to hold IM Joshua to a draw making it a marginal 2.5-1.5 win for us. With this win we became one of the only two teams who scored wins in all 4 rounds. This is when started dreaming for the first time for a big upset in the tournament by winning it. We faced “The Berkeley Knights” (average rating 2176) in the fifth round who was the other team with perfect score. They were not only high rated but also well balanced in all boards. I lost to their third board Derek O’Connor (2167) just a few weeks earlier in Tuesday Night Marathon. Derek became National Master just after this tournament. I pulled up another upset against Derek and the team result showed us the only team with perfect score of 5 out of 5 going into the final round. This meant we had a good tie break score and all we needed was a team draw 2-2 to win the tournament. And this is exactly what happened. Before the start of the final (sixth) round our team name was announced as a surprise leader of the tournament receiving a lot of claps from the audience. In this round we faced “The Berkeley Chess Weekenders” (average rating 2184) who had 3 Nationals Masters followed by a relatively weaker fourth board to keep their high average rating just below the 2200 bar. Hayk in board one played slowly against his higher rated opponent while Ashritha and I lost in second and third board respectively. Arul pulled up another win in fourth board completing his tournament score with a dreaming 4.5 out of 5 games. So everything depended on Hayk vs Jack’s game. A draw in that board would be sufficient for Berkeley weekenders to win the tournament outright while we needed Hayk to win the tournament in tie break. And while the game lasted long, Hayk had full control over the game and won it in style. With this we became the Amateur Team West Zone Champion 2017 in one of the most competitive tournaments in recent times! In East zone Summer Academy Talented Youth won with a perfect score of 6-0, who were the reigning national amateur team champion as well. That zone was the biggest ever where 308 teams registered consisting of 1284 players! Fake Moves won the USAT North zone and Mode Beast won the USAT South zone. Now the next step was to play for the national amateur team championship in a knockout format amongst these four zonal winner teams. Out of the two possible dates between March and April, we all settled for April 22nd for the face offs. Hayk, Arul and Eswaran sisters met in XcellCHESS Club Santa Clara location weekly, but I was too occupied with my work, family and hobby to be able to join them. Instead I decided to purchase ChessBase 14 and analyze my potential opponents’ games to prepare myself. Because ChessBase is a windows only software and my laptop is a Mac, I also had to buy an HP just to be able to install and use ChessBase. I analyzed the games of all 3 potential opponents who played in the third board for the other zone winners - NM Michael Auger (2268), Warren Wang (2197) and Miguel Fonseca (2176). Warren has become National Master but at the time of the entry into the zonal competition, he was still 3 points shy of the 2200 mark and hence his NM title and rating was not counted for this tournament. Miguel also became National Master one month after the zonal tournament. Knowing me losing to several lower rated players in recent time, Eswaran Ramalingam joked that he was not worried about me because I only lose to players below 2000 rating. All my opponents for final round were of master rating strength, hence according to him I would naturally win! A week before the final, we sat down in a training session together with Coach NM Ronal Cusi who himself have been part of 3 consecutive National Amateur Team Champion NorCal House of Chess. Tigran did all the coordination around the tournament from beginning to end, allowing us to focus on our games. In April 22nd we played the semi-final and final in XcellCHESS Club location at Santa Clara. My second round opponent NM Richard Kopecke was the tournament director in our location for the final rounds. We won the semi-final against North by 3-1. I lost in third board with White against Michael Auger (2268) but all our other boards won. In the other semi-final game, East defeated South by 2.5-1.5 margin. South's first board couldn't play due to a personal emergency and hence they had to play up with 3 boards. In the final, after an hour’s break from semi-final, we faced the current champion East. I won my game with Black (given above) against Warren Wang rated 2198. Arul and Ashrita lost in fourth and second board respectively. In first board Hayk had better position against Ethan Li but drew in time pressure as the game prolonged. He was in a winning position all throughout the game but Ethan showed stiff resistance in severe time pressure and was rewarded the draw at the end. So East won again, back-to-back this year to defend their title as National champion. Well, we were very close but couldn't make it. We will have to be happy with the runner up position. But this was a great experience for me personally and one of the best achievements in my modest chess career. A good show of teamwork in a long and tough journey. This year, I am completely out of chess but will still pay in a newly formed team in board#1 along with my son Ahyan in board#4. Wish us all the best!